At daytime with sunshine, 100% electricity generated by solar panels will be consumed in priority. The insufficient part of electricity will be supplied by grid power (220V AC) automatically. After sunset, there is no any electricity generated by solar panels, so 100% electricity will be supplied by grid power (220V AC). 100% electricity generated by solar panels will be consumed in priority position. No batteries, charge controllers and power inverters required. The initial investment is for 2-5 pieces of solar panels only. 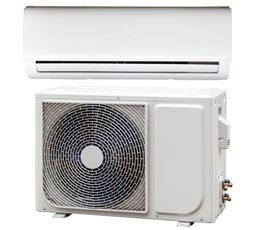 Solar air conditioners can work 100% by solar panels, no AC grid power required. Be suitable for sites without grid power, or with often power failures. 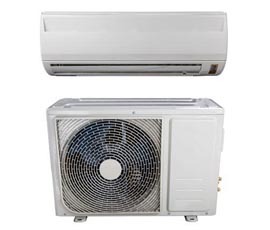 Off-grid solar air conditioners can also powered by AC grid power. Power supply will be switched to grid power automatically upon low battery. 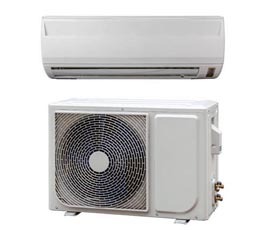 Off-Grid solar air conditioners can work 100% by solar panels, no grid AC power required.Off-Grid solar air conditioners are suitable for sites without grid power, or with often power failures. 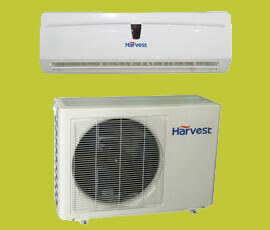 Off-Grid solar air conditioners can work over-night by battery bank. 100% electricity generated by solar panels will be saved in battery bank. Inverter technology reduces 30% energy consumption. By using hybrid control box, power supply will be switched to grid power automatically upon low battery.